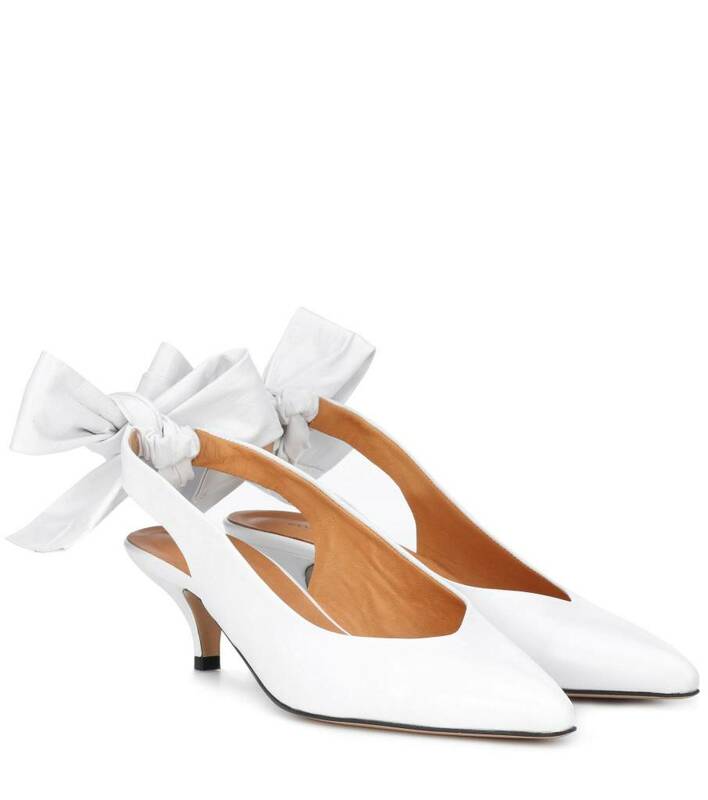 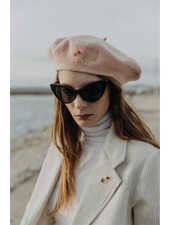 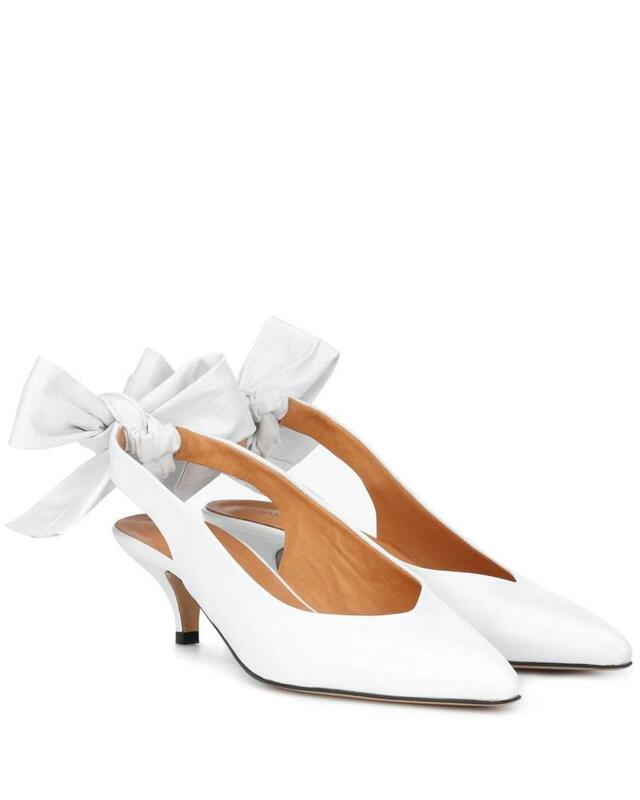 Ganni's 'Sabine' slingbacks are rendered in crisp white leather that's perfectly on trend for Fall '18. 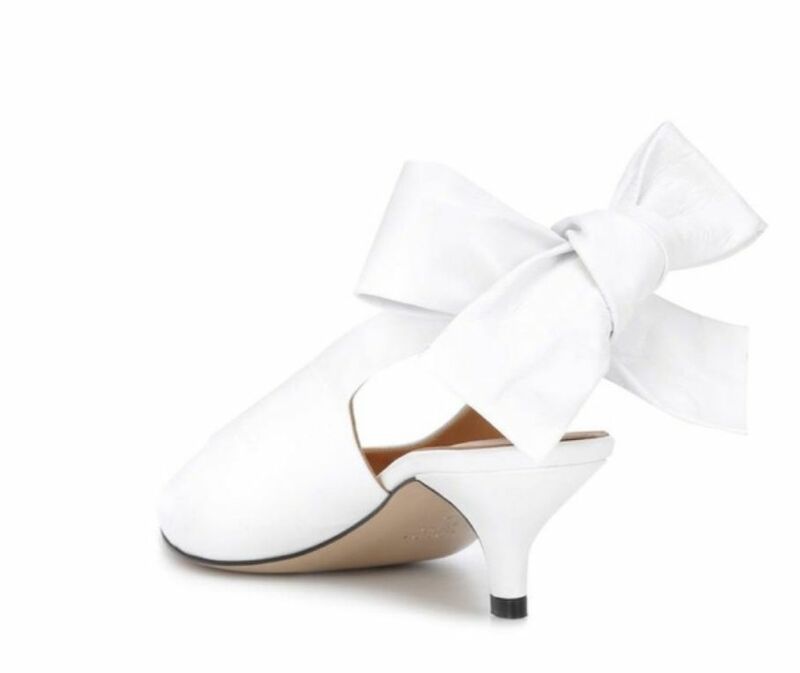 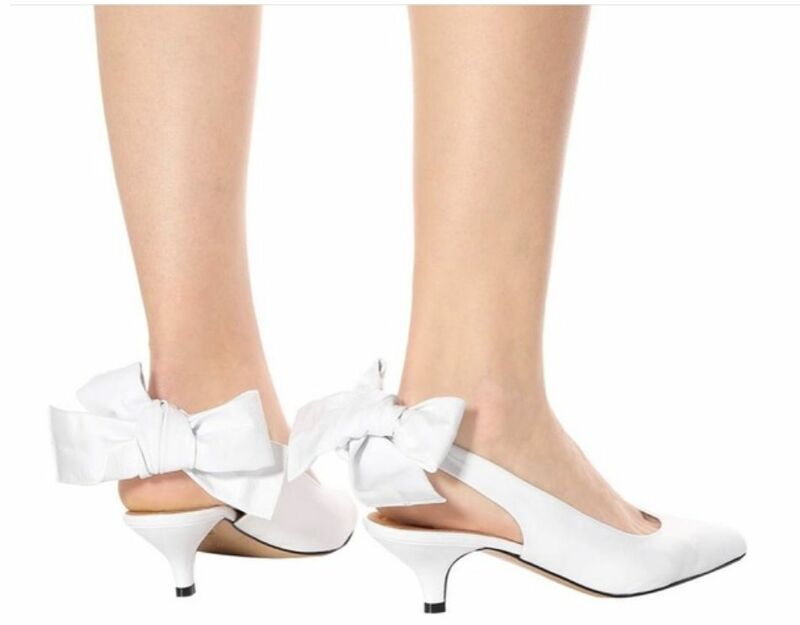 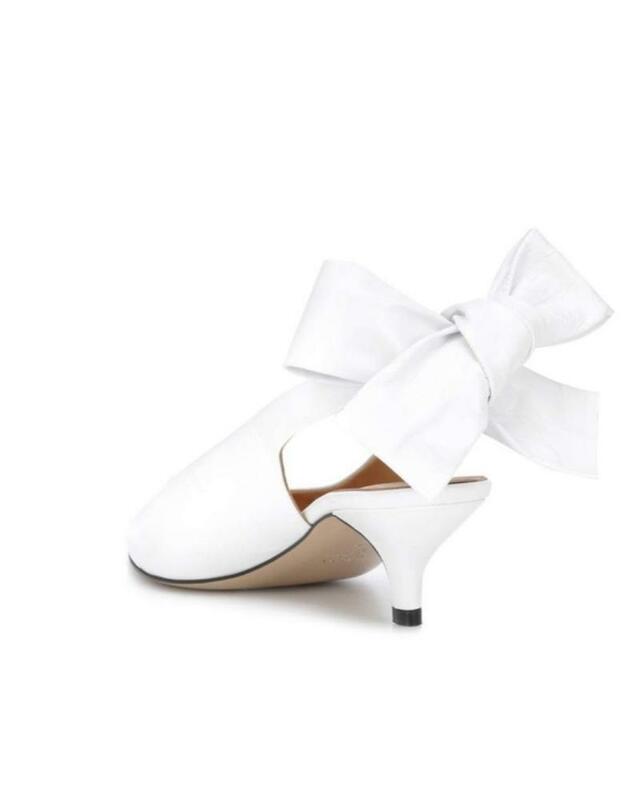 The ankle strap is accented with an oversized bow for a playful touch. 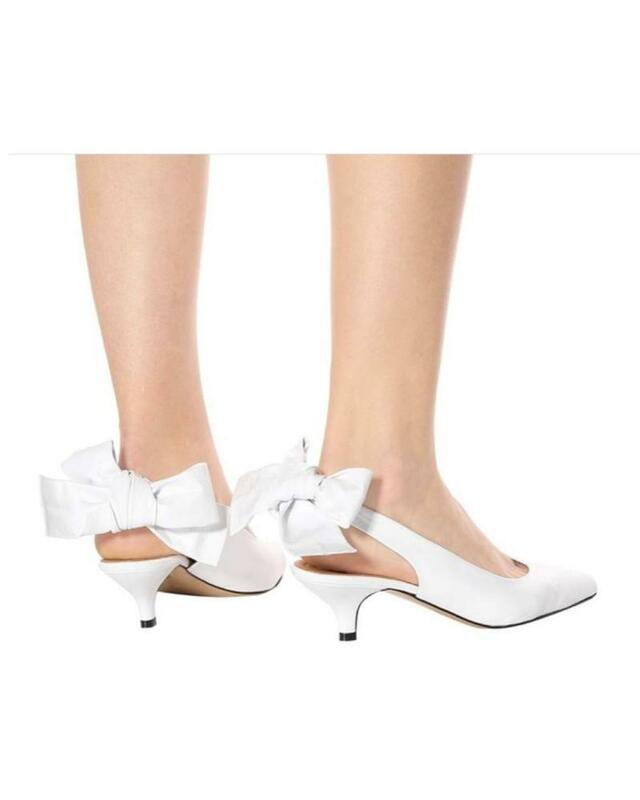 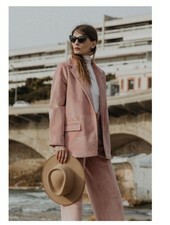 We love these kitten heels paired with sweet midi dresses.